There is no ‘one size fits all’ when it comes to budgeting—find a way to budget that works for you. A basic budget can help you organise your money, feel less stressed and more in control when bills are due. You can customise your bank accounts online to reflect your budget. Set some money aside for things that make you happy. Having this in your budget can help you avoid overspending or making impulsive purchases. It's also useful to consider setting aside towards infrequent costs such as—trips home, haircuts, shoes, clothes, birthdays, celebrations, sports subs and books. Register for Blackbullion—an online financial learning platform—to access their budgeting and saving modules, and online budget calculator to get in control of your finances. For more online budgeting tips and tools to help you manage your money, visit the Sorted website. You can apply for a grant from Victoria University's Hardship fund for help with emergencies such as medical, dental, optical, high course related costs, high transport costs, flatting problems or childcare costs. 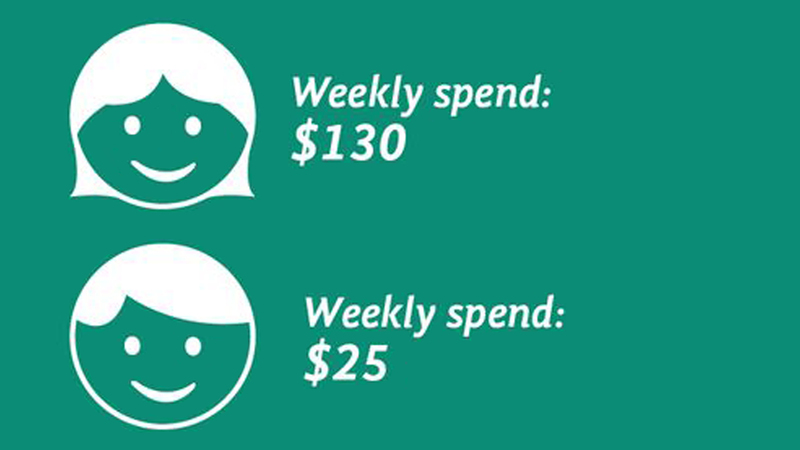 See how your savings can grow with what you put in every week. The more you save, the more interest you can earn. These types of debt have high interest rates, and will cost you a lot more in the long term. Ideally you should only use these for urgent cash-flow issues and should not be used to fund your lifestyle. Think about what you spend your money on and how much every week.